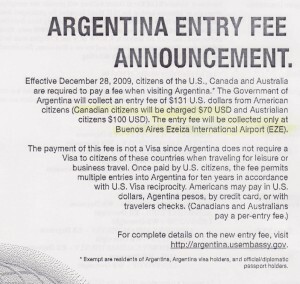 Effective December 28, 2009, citizens of US, Canada and Australia will be required to pay a fee when visiting Argentina. Americans will pay US$131, Canadians US$70 and Australians US$100. The entry fee will be collected only at Ezeiza International Airport in Buenos Aires. 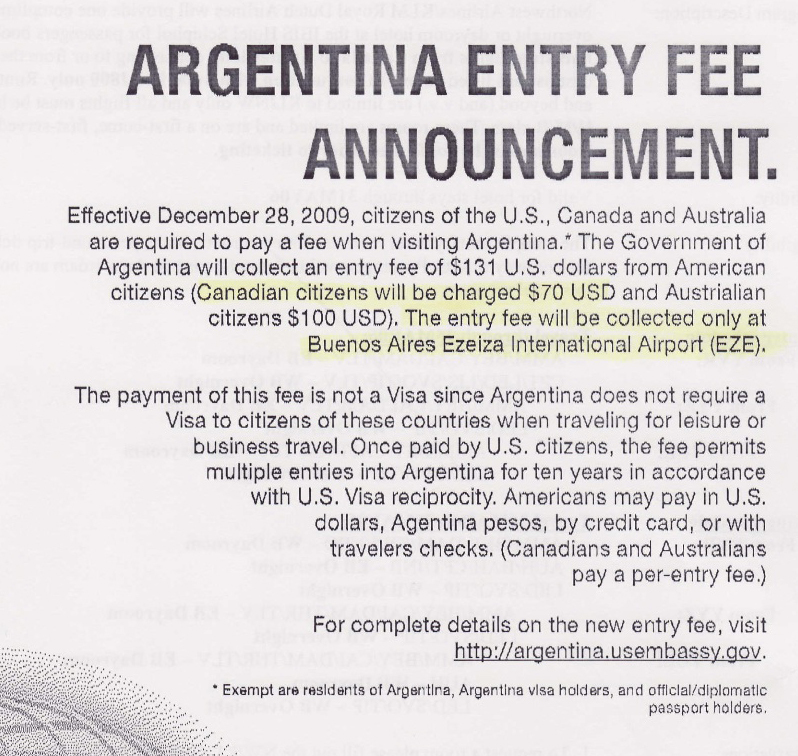 The fee permits Americans multiple entries into Argentina for 10 years. Canadians and Australians will pay per entry. This payment is not a visa since citizens of these countries don’t require a visa when visiting Argentina for leisure or business. the entry is only if you fly into BsAs international airport! if you fly in via Mendoza or any other location or even to BsAs domestic airport (from santiago) you do not have to pay this tax. I fly in to mendoza then travel on from there. Also if you are catching a bus across from santiago you do not need to pay this.